Our century has its own version of the beautiful one-off book, which continues the thread of the mediaeval tradition. I first became aware of the Book Art movement at an exhibition at Alsager Arts Centre a few years ago. Here, word, image, materials and practical technique were combined through the alchemy of creative minds and high craftsmanship to produce lovely or quirky artefacts. Nothing did more to illustrate the transformative impulse, and elevate the book as a unique creation, than the volume that collapsed open, with a flourish of humour, to reveal three-dimensional afternoon tea. Oh joy! I have always wanted to drink books and read tea. These days you can own a unique hand-made book produced from shiny plastic off-cuts or containing paper created as methodically as something on Bake-off. It can have gossamer ethereality or geological solidity; it can invite you to write or invite you to look. It can invite you to think. Inspired by the recent 3rd Liverpool Artists Book Fair, organised by Simon Ryder, who also curates exhibitions, I have taken a closer look at Book Art in the context of contemporary pressures to embrace, on the one hand, traditional methods of production, such as paper-making, printing and book binding, and on the other, the current impulse to recycle, upcycle and transform pre-existing volumes. Some people shudder at the thought of folding and cutting and generally exposing a book’s innermost pages, and taking away its narrative or discursive purpose. However, if a book is to be binned anyway why not give it a new incarnation as a thought-provoking paper sculpture, or a hollowed-out home for a tarantula, giving new piquancy to its previous life as a horror story? The leaves spreading out represent the overheard tales, like Chinese whispers creeping around Beatrice in Much Ado about Nothing. Not only has the paper been re-fashioned from its conventional shape and dimensions but the text has also been freed from its traditional linear progression, becoming a visual metaphor. Sometimes it is the skilful and meticulous folding that brings a reclaimed book or purpose-made book to life. Artist Annwyn Dean demonstrates a virtuoso skill in folding, such as one finds in origami. 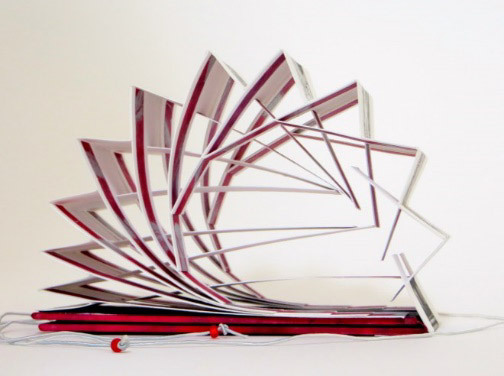 Her work has a kinetic, sculpturesque quality created by the repeated geometry of her folds, and one is amazed by the sense of airy containment. For me it is the aesthetics and characteristics of the old books that encourages the creativity within, their old musty smells and textures, and their stained pages. It is also the possibility of the unknown… Have these books ever been appreciated for what they truly are? Have the pages ever been opened and read? The story itself becomes abstract, as the viewer begins to pick out the words and letters, as they start to re-write the story through their own imaginations. Speaking of historical resonances, Annwyn Dean’s concertina book is very specific in its references. During the whole of Shakespeare’s life men wore linen shirts, they were all of a similar cut but differed in the quality of the linen and the quality would define the status of the man. Holland was the finest quality bleached linen and it was measured by the ell – 45” or 114cms. It would take approximately 2 ells to make a shirt, so each of Falstaff’s shirts would have cost 16 shillings plus 4 shillings (for the making up) and this would be the equivalent to approximately £137 today. Annwyn’s background in teaching and publishing about embroidery is evident in her precise work. In the exhibition in 2014, I included not only contemporary works, but also works from the Central Library’s permanent collection. These included William Morris’ Kelmscott Chaucer; Henri Matisse’s Jazz and Francisco Goya’s La Tauromaquia (a book of his bullfighting etchings, which he compiled himself). The Morris is very much in the tradition of mediaeval illuminated books, while the Matisse & Goya are books of images, but no text (other than captions). The works I select for the exhibitions have to be visual, since we show them in display cabinets, and the public can’t pick them up & leaf through them. This means that they don’t represent the whole spectrum of book art. If you came to the fair you’ll have seen notebooks and text-based works there. People ask what the books are for…. as in what on earth am I going to do with it? Some people exhibit them in glass cabinets, turning a page every now and then. (My books) inhabit a more abstract sphere; (they are) a tactile object, or a moment of contemplation rather than a public statement. The owner has to stop and engage in a private way. Viewing Book Art at fairs rather than exhibitions tends to be a more intimate business, where an artist will perhaps encourage you to hold the book, turn the pages and follow the narrative: visual, verbal or both. It depends how robust the artefacts are. Some notebooks are as substantial as doorstops. 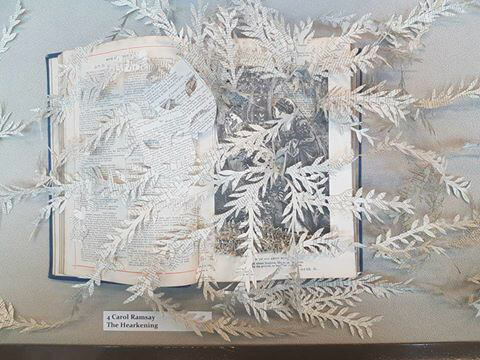 On the other hand, seeing Jo Howe’s A Delicate Subject: a book transformed into a poetic sculpture, in which solidity and fragility co-exist, one fears a draught might tear the carefully incised lines of text. Although we long to touch beautiful things we must appreciate with the visual sense rather than with tactile curiosity. Jo Howe has mentioned the way that the senses can be interchanged: “Art for me is using my voice without opening my mouth”. I let it drain, then tap firmly onto cloth or vilene interfacing (not the iron on stuff!) over towels. Then I cover with another absorbent layer and press to squeeze out the water. I do this by putting a board on top and stamping on it! The paper can be gently peeled off and laid on glass or plastic to dry flat. It’s a very soothing, therapeutic activity, but rather wet! I should credit the incredible Mandy Brannan, paper maker extraordinaire for passing on her making methods. Paper-making is surely more aesthetically acceptable than making vellum: that mainstay of mediaeval books. Pre-fourteenth century vellum involved gruesome processes, such as soaking the animal skins in lime and the Abbot’s urine, if you could get it. This product was superior because the chap would have a better diet than most. Then the animal hair and fat had to be scraped off, using a blade two-handedly. It could and still does take up to three months altogether: vellum is still made today by traditional methods and used for royal and parliamentary documents. Not sure of the provenance of the piss, these days, though. 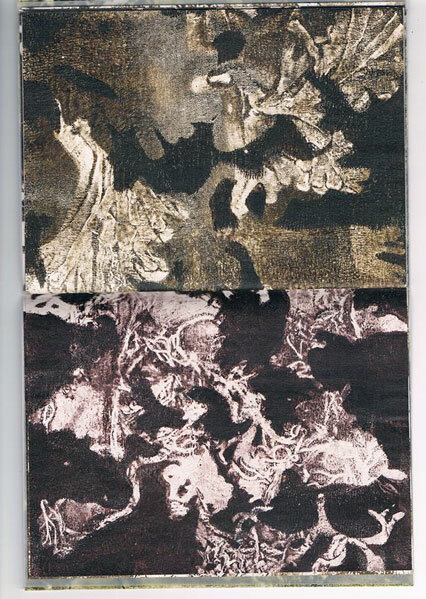 Photographs are used to still movement and to reveal details, these photographs are then used to create drawings … I sew these drawings onto fabric using a sewing machine. 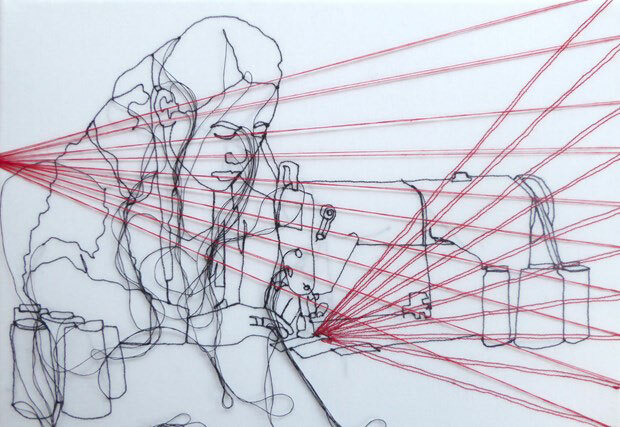 I use transparent fabric and I leave loose threads, thus revealing and celebrating the process of sewing. The black line of the thread is a seductive one, raised from the surface it is tactile and slightly fuzzy at the edges, velvety. This is one of the things that draws me to the sewing machine rather than the pencil. Rosie’s tactile pleasure came over in the way she handled her books whilst I was talking to her and she draws, unconventionally, with sewing thread, which gives a raised, rather than flat or incised texture. 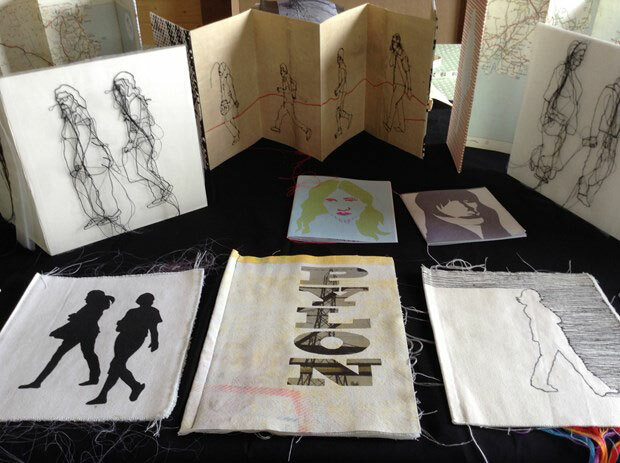 In using thread she is acknowledging the tradition that bound and embellished books, whilst going very much her own way. 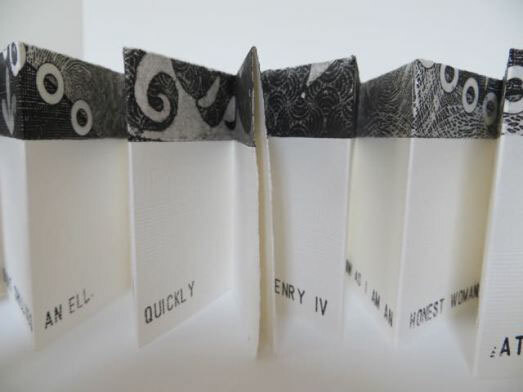 Whilst Jo Howe, Carol Ramsay, Annwyn Dean and Kate Bufton have often used pre-existing books as a starting point for their art, Rosie James, Estella Scholes and Michelle Holland have created new books. The fact that we live surrounded by sea and are never far away from the sea, is referenced in many of our mediaeval manuscripts, and both Michelle Holland and Estella Scholes have turned to the interface between sea and land for beach-combed materials and inspiration. 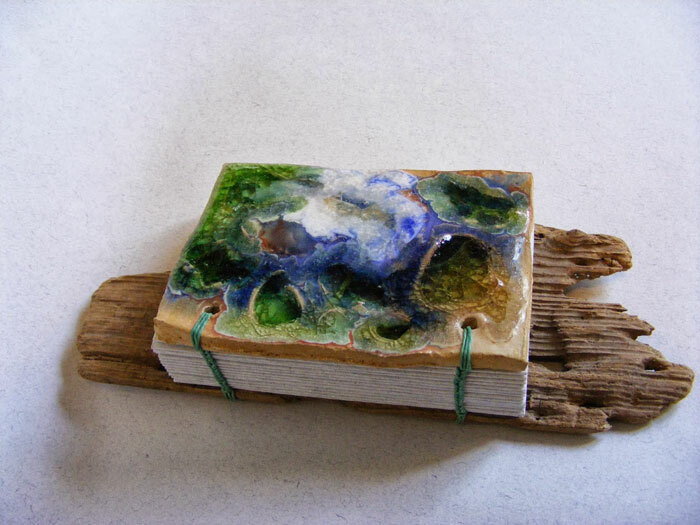 Michelle has produced modern examples of the heavily boarded journal: paper bound in driftwood or a ceramic cover with seaglass embedded, giving a smooth, glacial surface and referencing sand, the raw material from which glass is made. In addition, her book/journal descriptions are qualified by the location where the glass was found: Iona Seaglass, Beadnell Bay, East Coast, Wester Ross … Volcano Ash. This list of provenance has something of the evocative power of the Shipping Forecast. One quirky book cover is a discarded QWERTY keyboard, and here we have the witty overlap between traditional book-making and digital book-making. Michelle’s books are not to be slipped into the pocket; these are substantial artefacts, demanding and requiring a space to be. Other people have graphic design or illustration backgrounds, or even sculpture, whereas mine is fine art and this is very apparent. I’m more interested in colour juxtaposition and textural qualities than in precise construction. Something a traditional bookbinder would find very hard to approve of. 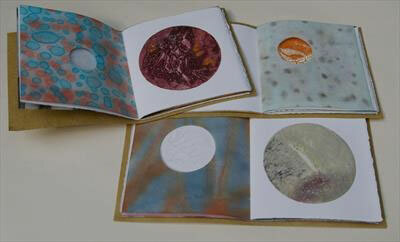 My books are collections of ‘rememberings’, the essence of some sensory experience distilled and edited down, but also allowing the process of creating the paper or printed surface to take on a life of its own, so the journey from concept to realisation is certainly not a deliberate pathway, as it might be in others’ more formally constructed work. As she says, “the book is a vehicle to explore a big idea in a very small space”. The ambience of the years-ago Alsager exhibition had been cosy and nostalgic and playful: a charming niche; but things have moved on and these latest manifestations of Book Art revealed a dynamic of confidence and contemporary relevance. As well as recycling old books themselves, here was a harvest of readily available, natural, replaceable or recycled materials incorporated into handmade books. When the impetus for a book’s production was to praise God, as in the Middle Ages, gold would have the two-fold status of representing the divine and affirming the economic position of the commissioner of the book. When the impetus for the book’s production is artistic creativity, and mindfulness of the Earth’s resources, products available to all (feathers, shells, driftwood, re-constituted paper, pebbles, glass …) present a more democratic and ecological approach, without aesthetic considerations being jeopardised. In Books of Hours, God the creator is being elevated through wealth created by the book’s owner; in the recent Book Art movement it is the creativity of the artist/writer and the creative potential and response of the purchaser/appreciator, which is being celebrated, at the same time that the long tradition of the book is acknowledged. 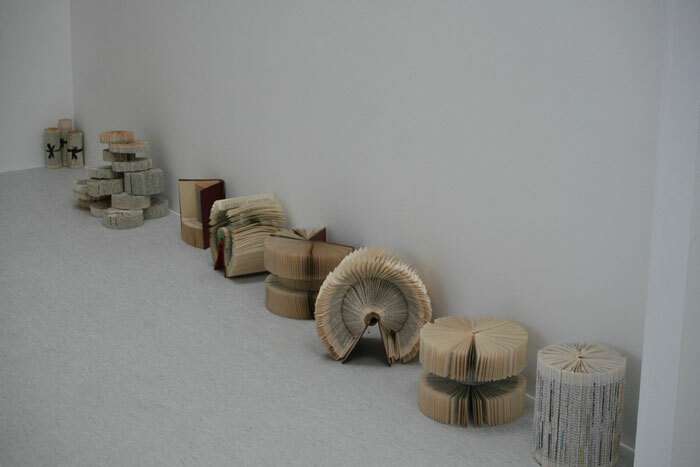 Book Art is a testimony to a growing movement for individual control over the creative process, in opposition to standardisation, mass production and the culture of waste. It is a tradition that has become a pioneer. I would like to extend special thanks to Simon Ryder and Estella Scholes M.A. 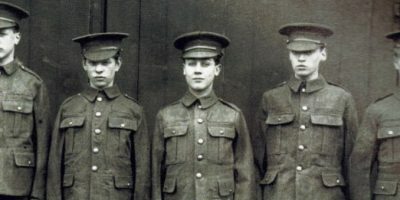 for their help with this article and to everyone who spoke to me at the Book Art Fair in Liverpool.